The Wikipedia pages of House Majority Leader Kevin McCarthy and Rep. Renee Ellmers were edited to accuse the two of having an affair. The IP address that made the edits were reportedly tied to the Department of Homeland Security. 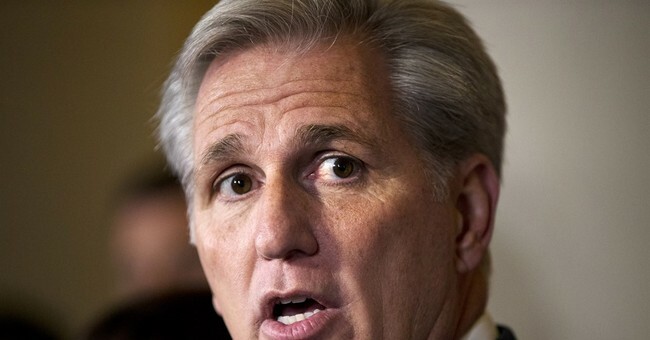 The changes were made on Thursday, the same day McCarthy unexpectedly dropped out of the race for Speaker of the House. Both members of Congress have denied the affair, however. “Ellmers is alleged to have been involved in an extra-marital affair with Republican House Majority Leader Kevin McCarthy since 2011,” the edited article read, sourcing the information to a Breitbart article that alleged no such thing, and an article on independent website GotNews. Earlier this week Rep. Walter Jones wrote a letter urging GOP candidates to withdraw from leadership races if they have any skeletons in the closet. "With all the voter distrust of Washington felt around the country, I am asking that any candidate for Speaker of the House, majority leader, and majority whip withdraw himself from the leadership election if there are any misdeeds he has committed since joining Congress that will embarrass himself, the Republican Conference and the House of Representatives if they become public," Jones wrote.